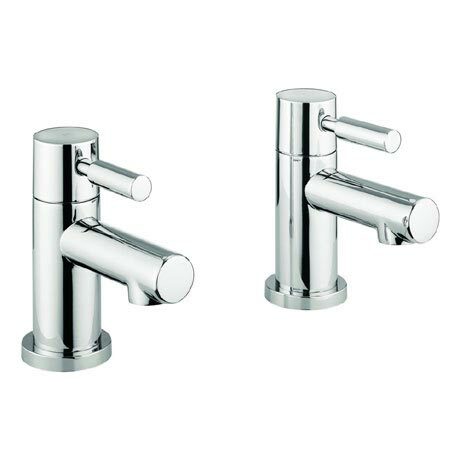 The Aqua Basin Pillar Taps feature a stylish single lever and cylindrical design. Manufactured from solid brass with a shiny chrome finish, it's contemporary design will bring a touch of sophistication to your bathroom. Water Pressure: Range from a minimum pressure of 0.1bar to a maximum of 5bar.